The Huawei E176 3.5G Cellular Modem is a easy-to-use USB modem. Among Huawei's latest offerings is the E176. It builds on last year'sE170, upping the radio specification and adding a memory card slot. Like the Huawei E170, the E176 offers quad-band (850, 900, 1800 and 1900MHz) GSM/GPRS/Edge connectivity, but where the older unit could connect to HSDPA and HSUPA 3G networks on the 2100MHz band, the E176 adds support for the 850MHz and 1900MHz bands for better round-the-world coverage. The Huawei E176 USB Stick modem connect your computer over the 3G broadband network with no wires or hassles so you can access the Web or to your email box at broadband speeds. with USB connects to your laptop or desktop at home, giving total plug-and-play simplicity. Its super fast, super small, and super simple! 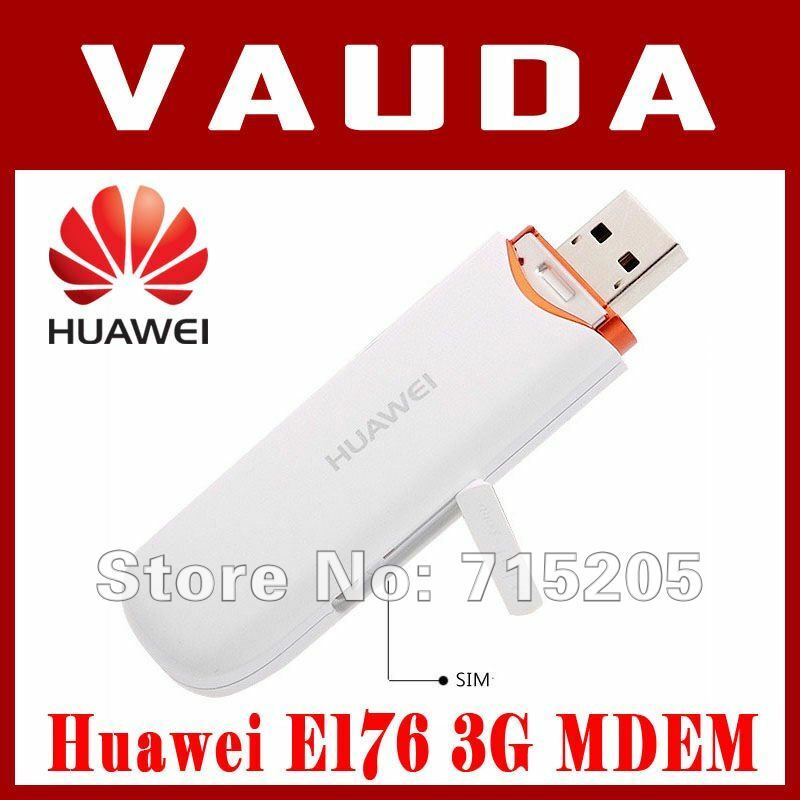 The Huawei E176 is the same as Huawei E176G and E1762 but this E176 Quad-band supported world widely HSDPA/UMTS 850/1900/2100MHz. EDGE / GPRS / GSM - 850/900/1800/1900MHz. Speed: Download up to 7.2 Mbps, Upload up to 5.76 Mbps upload. Size: 85 x 27 x 12mm..
Windows 2000, XP, Vista, 7, Mac. Zero-Install! Plug and Play Software.